Costa Bimini Road 110 prescription glasses offers a trustworthy titanium construction, with a fuller frame design for a wider field of vision and endless prescription possibilities. 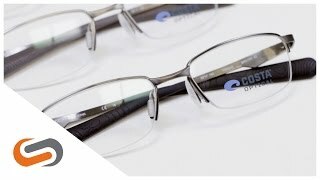 These Costa prescription glasses are designed with slightly rounded, rectangular lenses, adding to the sleek frame style. The professional and functional Costa Bimini 110 prescription glasses are a top pick for our wisest adventurers.